Every organization has content, and a lot of it. Maximizing the value of content through a coherent information strategy is critical to the company’s future in the digital world. 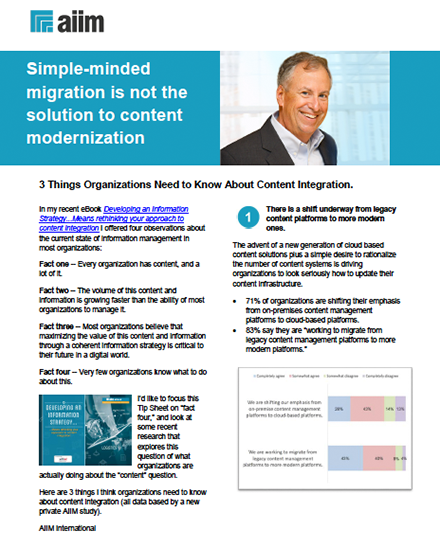 In this tip sheet, you'll find three things organizations need to know about content integration. All data is based on a new private AIIM study. After filling out your details, you will receive an email with a link to the tip sheet.